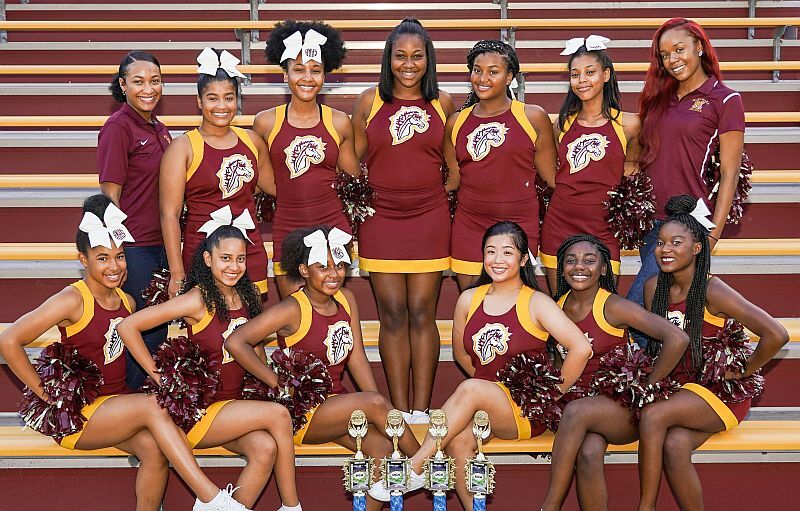 Congratulations to our Bishop McNamara Cheerleaders who were presented with the prestigious UCA Traditions Award on August 10, 2018 for outstanding School Spirit and Demonstration of school traditions. Additionally Alexia Lee '22, Riyan Bowden '21, Lyris Brown '20, Kiersten Stokes '19, Tyler Muniz '19, and Sierra Sweeney '19 won the hotly coveted ALL America Team honor. After competing for the All-American title over other nominees they were bestowed this top honor along with some of the best cheerleading athletes in the Region (Virginia, Maryland, Pennsylvania). During Camp in the jump skill competition Bishop McNamara Cheerleaders brought home the winners in both the JV and Varsity Divisions. Leah Camphor '22 brought home the Best Jumps Award for the JV Division and Riyan Bowden '21 clinched first place and received the award for the Varsity division beating out over 25 other contestants. An application card is an invite to try out for the best cheerleading company in the world, the Universal Cheerleaders Association. Athletes chosen for their talent, charisma, and leadership potential that stood out to the Staff while they were at camp. Only the strongest athletes at a camp site are given the chance to become a member of the UCA Instructional Staff. Only 4 athletes of over 175 athletes at this camp were awarded this honor and 3(three) of them were from the BMHS Cheerleading program! Congratulations to BMHS Seniors Kiersten Stokes, Tyler Muniz and Sierra Sweeney. 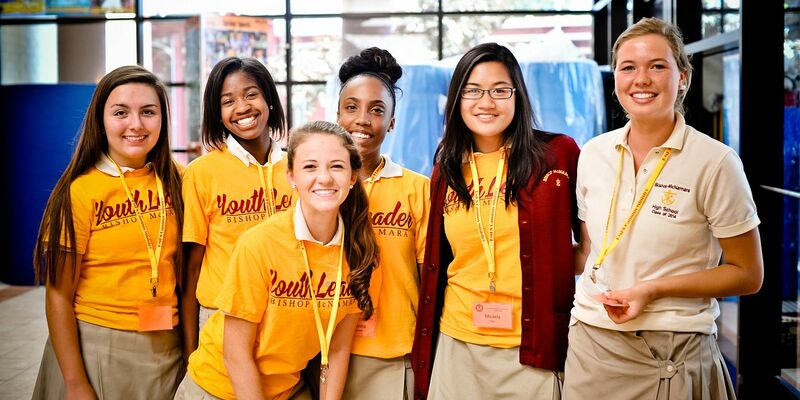 The Bishop McNamara Cheerleading program is thrilled by the performance and representation of our athletes! For more about the Bishop McNamara Cheerleading program, contact Dawnica Green at Dawnica.green@bmhs.org.